In Conversation with Larry Gottheim. 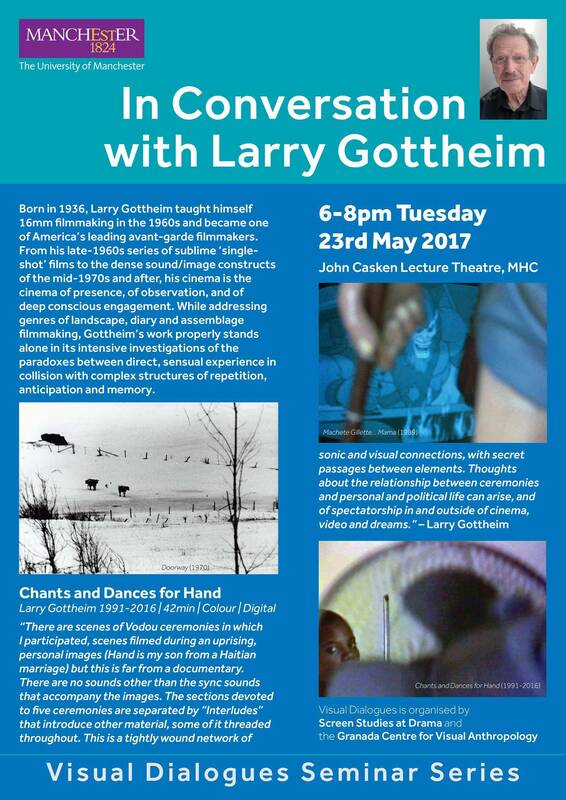 Screen Studies at Drama and the Granada Centre for Visual Anthropology are happy to host one of the leading avant-garde experimental filmmakers – Larry Gottheim. Born in 1936, Larry taught himself 16mm filmmaking in the 1960s. From his late-1960s series of sublime ‘singleshot’ films to the dense sound/image constructs of the mid-1970s and after, his cinema is the cinema of presence, of observation, and of deep conscious engagement. 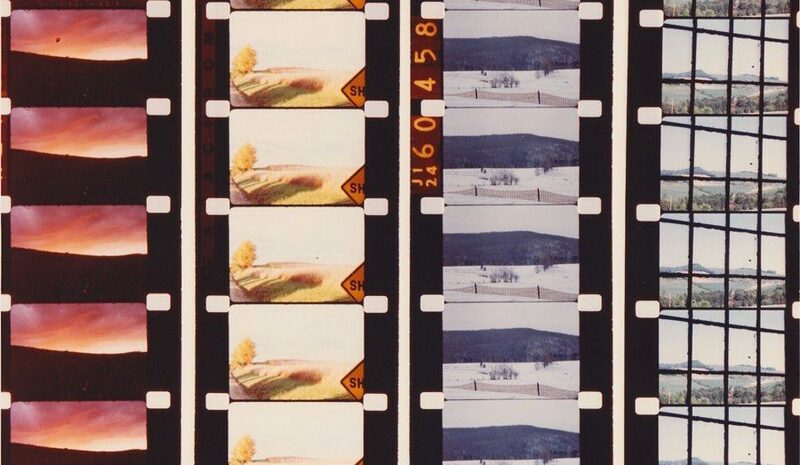 While addressing genres of landscape, diary and assemblage filmmaking, Gottheim’s work properly stands alone in its intensive investigations of the paradoxes between direct, sensual experience in collision with complex structures of repetition, anticipation and memory. There are scenes of Vodou ceremonies in which I participated, scenes filmed during an uprising, personal images (Hand is my son from a Haitian marriage) but this is far from a documentary. There are no sounds other than the sync sounds that accompany the images. The sections devoted to five ceremonies are separated by “Interludes” that introduce other material, some of it threaded throughout. This is a tightly wound network of sonic and visual connections, with secret passages between elements. Thoughts about the relationship between ceremonies and personal and political life can arise, and of spectatorship in and outside of cinema, video and dreams. All welcome on Tuesday the 23rd of May 2017, from 6-8pm in the John Casken Lecture theatre, Martin Harris Building, University of Manchester Oxford road.